The smartphone's key highlight is the triple lens rear camera setup. Samsung Galaxy M series was announced in India this year with it replacing the Galaxy J and Galaxy On affordable smartphone lineup. 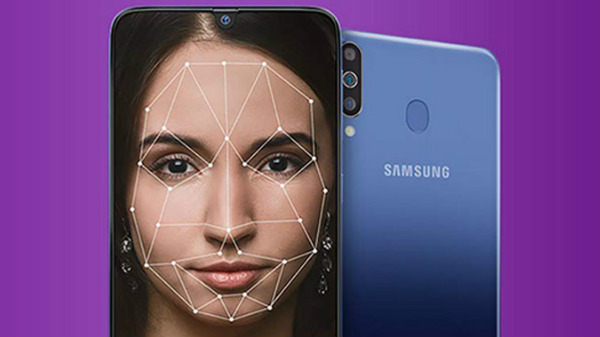 Samsung introduced the Galaxy M series with the launch of Galaxy M10 and Galaxy M20 smartphones. With the launch of Galaxy M series, Samsung strengthened its grip in the budget smartphone segment where it was losing against the Chinese brands such as Xiaomi, Honor etc. The South Korean tech giant then extended its Galaxy M lineup with the launch of the Galaxy M30 in the country. The Galaxy M30 is the high-end variant in the Galaxy M series and comes with some interesting set of features such as a triple lens primary camera, a waterdrop notch display and more. This is one of those smartphones that offer a triple lens camera setup t a sub Rs 20K price range. The device has been made available via various flash sales in India. Now, it is all set to go on a flash sale again in the country. The next Galaxy M30 flash sale is scheduled for tomorrow in India, i.e March 22. The sale will begin at 12 noon on the e-commerce platform Amazon. The device will also be available for purchase on Samsung India's web store. As it is a flash sale it will last for a limited duration. Users will be able to choose the smartphone from two different gradient color options including black and blue. As for the pricing, the 6GB RAM carries a price label of Rs 17,990, whereas, the 4GB RAM variant is retiling for Rs 14,990. To recap, the triple-lens primary camera setup is the key highlight of Samsung Galaxy M30 smartphone. It comprises of 13MP (f/1.9) primary lens paired with a 5MP (f/2.2) secondary sensor and one 5MP depth sensor. For selfies, there is a 16MP (f/2.0) aperture front camera which is also used for video calling. The smartphone flaunts a 6.4-inch Super AMOLED display panel with a resolution of 1080 x 2340 pixels. It has a waterdrop notch at the top for the front camera. It runs on an Exynos 7904 SoC and ships with dated Android Oreo OS. There is a humongous 5,000mAh battery completing the smartphone's spec sheet.